In this historic inauguration of James Diossa as the 32nd Mayor of Central Falls, leaders of many communities came together for a new beginning. The mission will be hard. The previous mayor is going to prison, and two of five City Council members boycotted (photos 65-67), but a great staff and transition team are working with Mayor Diossa to build a better Central Falls. Thankfully, Gov. 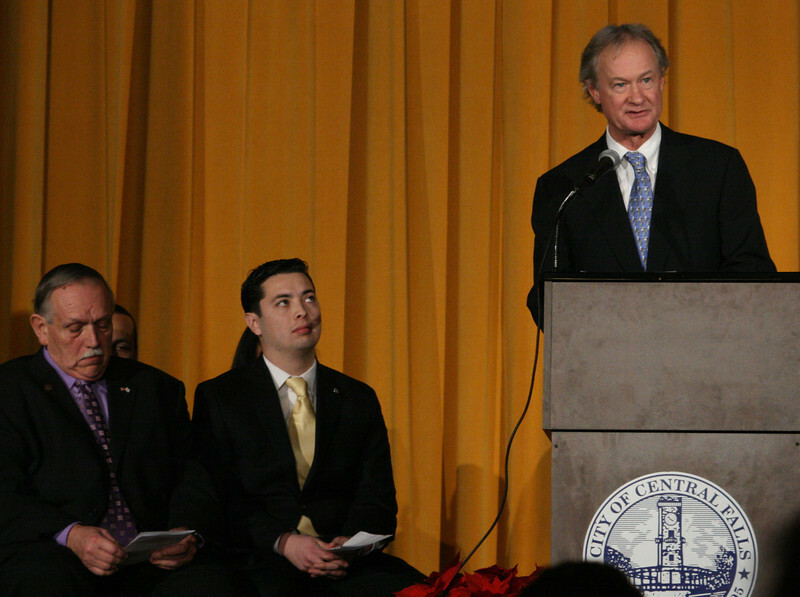 Chafee and many state leaders came to promise their support. Here's how to download any of these photos free of charge: (1) Click a thumbnail to make it the feature photo on that page, (2) Move your cursor to the right side of the feature photo to decide what size you want, (3) Open in the size you like, from medium for email to X3 for prints, (4) Download the photo to your computer or smartphone. You can preview the set by clicking SLIDESHOW, top right of the page.